First up, it's Lancashire pharmacist Alistair Gray, who pioneered what he describes as the "world’s first" fully integrated hospital-to-community pharmacy referral system. The Refer-to-Pharmacy (R2P) software allows pharmacists from both sectors to ensure patients get continuous care and support with their medicines, all the way from the hospital bedside to the community pharmacy counter. The system has been embraced by East Lancashire Hospitals NHS Trust, with the cost of system setup and support being paid by the trust and two clinical commissioning groups (CCGs). The system not only allows the hospital to notify a local pharmacy if their patient has been admitted, it then automatically informs them when they have been discharged, along with a copy of their discharge letter. The scheme has already been shown to have a “big safety” benefit, Mr Gray says. Since March 2017, “we’ve had 62 patients where pharmacists spotted a prescribing error that the GP had unintentionally introduced”. 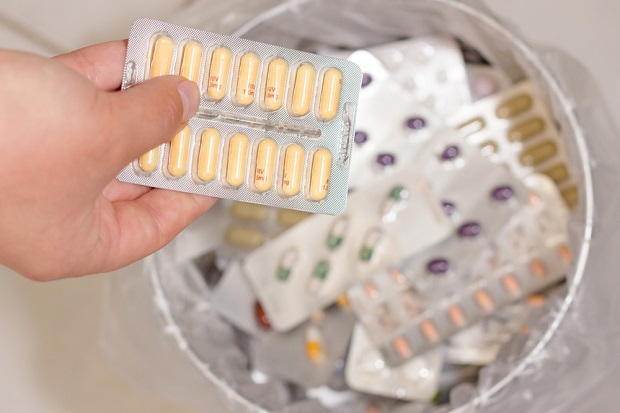 Mr Gray also calculates that in a three-month period, the system has prevented 220 items being unnecessarily dispensed, and freed up 77 hours of community pharmacists’ time. So is it a win-win for hospital and community pharmacy? “The community pharmacists are preventing waste, they’re preventing lost [time], and also they obviously get reimbursed for actually providing a NMS or MUR for the people who need it most,” says Mr Gray. From the hospital side, the R2P software is designed to be quick and easy to use, he says. “You can make a referral in about 15 seconds, so it’s not an encumbrance.” This has allowed the trust to refer an average of between 800 and 900 patients a month, with “a very high turnout from community pharmacists using that information”. Are community pharmacists involved with any innovative schemes in your area? From a patient’s point of view, one can wonder why R2P is such an innovation. It should be plain good practice [and common sense] that any hospital about to discharge an inpatient would enquire as to where electronically forward the discharge summary. After all, 24 million patients, in England, do have a named community pharmacist. And many [alas, no quantitative research on this] consider their community pharmacist as their first port of call when developing new symptoms/medical problems, seeking advice on medications or requiring immunisations and other healthcare services. Where there is research, the problems of hospital discharge and weak, if not non-existent, GP surgery follow up are well documented. So, the question remains as to why there is not a near automatic, following inpatient consent obviously, communication to community pharmacy on what medicines were deprescribed, changed or added during hospitalisation. Where are the barriers? Who is overtly or covertly stopping the scaling up of such a… common sense practice which can only have rich outcomes in terms of medicine optimisation, good patient care and value to the NHS?